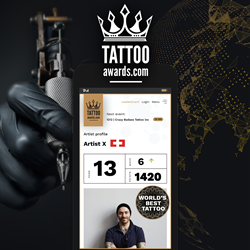 Join the Tattoo Awards community today! Tattoo Awards is currently seeking investment opportunities. For investment and sponsorship-related inquiries, please contact Lisa@TattooAwards.com. For media and general inquiries, please contact Stefan@TattooAwards.com. The post TattooAwards.com Crowns its 2018 Tattoo Artist Champions appeared first on Tattoo.com.